Karwa Chauth Vrat is Coming on 2 November 2012. 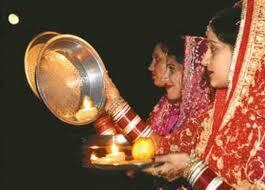 Karwa Chauth Vrat is observed as a very pious festival. It is said that it empowers a married women to even challenge the decision of the almighty. 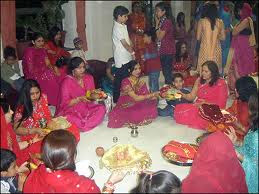 As it is kept in order to bring fortune as well as well being along with long life for one’s husband, almost every women in the country observes this fast. Though there may be regional variations in the name and rituals, the festival is celebrated with immense zeal and gusto throughout the country. The festival is celebrated just nine days before Diwali i.e. 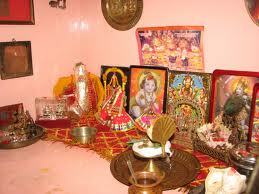 on the fourth day of the Kartik month by the Hindu calendar (fourth day of the waning moon or the dark fortnight). 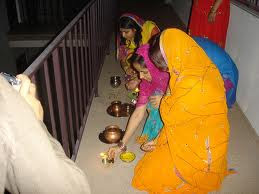 The festival is celebrated under the name of Karwa Chauth and the rituals given below are observed in states of Punjab, Haryana, Delhi, U.P., and Gujarat. "On being asked by the king as to why did she keep repeating that song, Veeravati narrated the entire story. The king repented and restored the queen to her royal status. 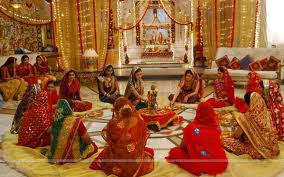 It was only the queen’s devotion and her faith that won her husband’s affection and the blessings of Goddess Parvati." Early in the morning they prepare food and have it before sunrise. The morning passes by in other festive activities like decorating hand and feet with heena, decorating thepooja thali and meeting friends and relatives.